Young China Watchers is delighted to invite you to the first official YCW Berlin event on Tuesday, April 21, 2015 . Please join us for an invigorating discussion on China’s new foreign policy and its implications for East Asian regional order. 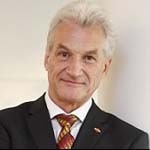 Dr. Volker Stanzel is Germany’s former ambassador to China and Japan and an incoming Senior Advisor to the German Marshall Fund. 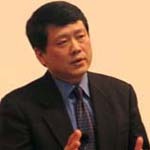 Professor Qin Yaqing is President of China Foreign Affairs University and a leading International Relations scholar. The 25 minutes discussion will be followed by 25 minutes of Q & A, and then an opportunity to converse and network over relaxed drinks.